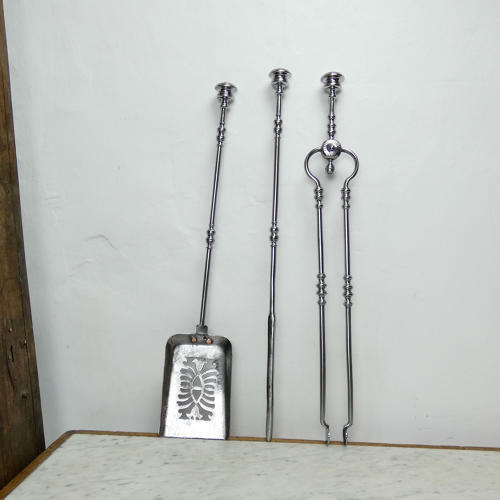 An attractive set of early nineteenth century fire irons. These are well made, from steel, and they date from c.1820. They are a very decorative set, with quite chunky handles and interesting cast designs down the length of the tools. The poker, which is the longest implement, is 73cm. long. The tongs and the shovel are each 72cm. long. There is slight pitting to the steel on the end of the poker and also on the shovel, but the general condition is excellent for a set of this period.